From Saint Benedict Press, publisher of many timeless Catholic classics and essential Catholic works, comes the New American Bible, Revised Edition. With its extensive notes, commentary, and cross-references, the NABRE will promote a deeper love and understanding of Scripture in the home, parish and school. In addition to its wealth of study material, each Saint Benedict Press NABRE features a 3-year liturgical cycle of Sunday readings, a 2-year liturgical cycle of daily Mass readings, a listing of Popes, and a manual of favorite Catholic prayers. 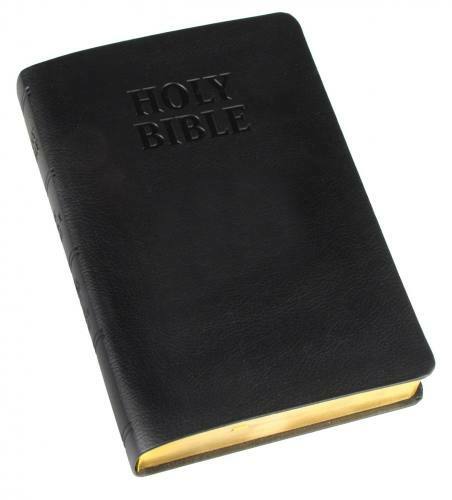 Other features include: Extensive notes, commentary and cross-references, beautiful Old Masters art and full-color maps, Presentation and Family Record sections​, and elegant, readable typesetting (regular print), on quality Bible paper. Ultrasoft cover. Gold leaf page edges.